First off, Roland Garros = French open. Let’s move past that already. 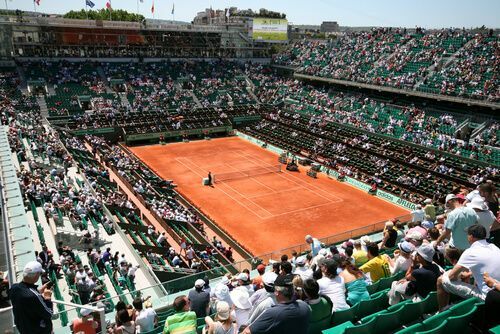 There is hardly a tennis fan out there who doesn’t want to get a piece of the action at Roland Garros this year. How to watch the french open 2017? More specifically though, they are asking how to watch the french open 2017 for free and via online streaming. 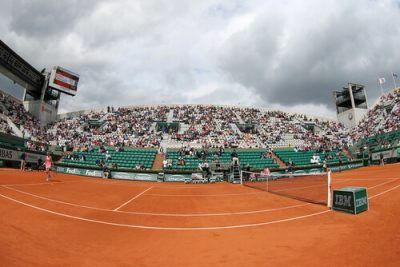 Roland Garros is the toughest grand slam of all the four grand slams that players have to play throughout the tennis season. Because it has a slow surface and hence the points are longer. And players have to exert more energy to win points. This time around, this famous grand slam, which is played on clay, will start on the 28th of May 2017 and will end on 11nth of June 2017. Truth be told, there are plenty of ways to watch Roland Garros online. Many of the ways require the user to pay a certain amount of money to access a live stream or something similar. 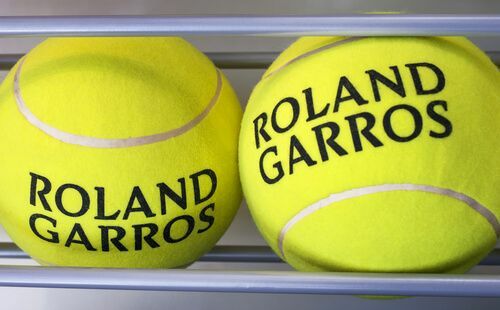 There are also some free channels that stream Roland Garros live. Along with that, there are other channels who broadcast the French Open after buying certain rights and licenses. Potentially, the savvy online user can easily find ways to watch both the paid versions and free versions. Both methods have their own set of advantages. You’ll have to decide for yourself. Decide by looking into your requirements and your budget. Most of the channels that broadcast the French Open are blocked. You’ll need to find a way to bypass these geo-restricted live channels in order to watch French Open online. 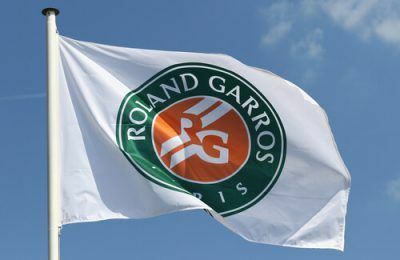 One, is to use a VPN to bypass geo-restrictions and access channels which are showing French Open live. The other method is to watch French Open via Kodi. As mentioned before, it depends on the user which method he/she wants to go for. This super tutorial will show you how you too can watch the French Open 2017 live, online and for free. After reading this guide you will be able to watch French Open 2017 via VPN service and Kodi. In Which Countries Can You Avail These Techniques? But if you’re located in one of the following countries then you are golden as far as watching French Open 2017 is concerned. In short, there is not a place on earth where these methods will not work. Of course, the overall experience will depend on which country you reside in at the moment. This tutorial will also show you how to stream Roland Garros 2017 from anywhere in the world and on any device in the world. What About The Channels? I Want To Know More About French Open 2017 Streaming Channels. Following is the list of best channels, both paid and free, which will stream French Open 2017 online. As the name suggests, this channel will be ideal for people living in France. It will also broadcast Roland Garros for free. This channel is best suited to those people who live in the US or the UK or the EU. Of course, you’ll need to have a cable subscription to actually view Roland Garros live or otherwise via Eurosport. ESPN is best suited to those people who are located in the United States of America. Again, you will need a subscription to view any tennis via ESPN and those don’t come cheap. Using our methods though, it will not matter where you live. BeIN Sports is the best channel to view any sport if you live in the Middle East. There is a ton of content and you get to watch any sport on the planet. Not just tennis. SuperSports is the premium sporting channel on the continent of Africa. There are more than 12 SuperSports channels and this ensures that all sports are covered in their entirety. Another one of the premium sports channels in the USA. How To Get A Free ITV Account Outside The UK? Believe it or not but you can get yourself a free ITV account even if you don’t live in the UK. OF course, you will need to read this full guide to comprehensively understand how to do so. First of all, you should know that iTV is essentially a free streaming channel. But, in order to avail its services, you have to sign up for an account. Only after you have signed up for an account can you watch live sports and all the catch-up programs. IN order to do so, you will need to follow the below given steps exactly as they are presented to you. After you have followed all the steps you should have registered your free iTV account either in the USA or any other country that isn’t the United Kingdom. Your first task is to go to the official ITV website. So click here to do that right now. Now, have a look around and find the button that says Sign In. Normally you will find this button in the top right corner of your display screen. Head on over to the next page. When that is done, you will need to input your details. This will include your relevant title along with name, email address, and date of birth. There is also a postcode field. We recommend that you should go ahead and input “WC1X 0AA”. Remember that you should not input the above code with quotation marks. The form will now require you to agree to the iTV Terms and Conditions. So get going and tick that box. IN the end, you will be required to choose I’m ready from the options. If you keep up this pace you’ll be finished with this tutorial in no time. Now, if you have followed the above-given steps in their precise order and have not committed a mistake in inputting your information then you should receive a confirmation email in your inbox. So go check your inbox right now. When you see the confirmation email, open it. Then click on the link that is present inside the confirmation email. This link will take you to the page where you will be able to access your free iTV account. The next step is to figure out how to watch French Open 2017 after you have signed up for ITV account. As we have told you before, you will need to use a VPN service to move forward. That is the only and the best way to watch ITV from abroad. How To Watch French Open 2017 From Anywhere In The World With A VPN Service. With a VPN service, you don’t have to worry about your location. Did we mention the part that with a VPN service you will be able to watch French Open 2017 for free? Technically speaking, you can’t watch ITV from outside the United Kingdom. If you go to the official ITV website and try to stream a sporting event you will be shown an error message. What will this error message say? We’ll save you the time and tell you that it will simply say that iTV is really sorry but the service is only available to people living in the UK. There is definitely a way to watch French Open 2017 outside the UK with an iTV account. What you will need to do is trick the official ITV website into believing that you live in the UK. How To Make Websites Believe That You Are In The Right Country? There are many ways of tricking websites into thinking you’re from another country. As indicated earlier, the best way is to use a VPN service. But What Is A VPN Service And Why Do I Need One? A VPN service simply stands for a Virtual Private Network. Let’s go a bit further than that. A virtual private network is an online service that can change your IP address at your will. This, in turn, allows you to view content that is region-locked. With a VPN service, you can not only watch ITV and the French Open 2017 but also all kinds of other streaming channels. Moreover, a VPN service will unlock websites like Netflix and Hulu as well. Think of a VPN service as the ultimate solution to all your online needs. Didn’t we just mention that a VPN service only unlocks content and streaming websites? A VPN service is much more than a content unlocking piece of technology. More specifically through, a VPN service encrypts your data. It then reroutes your traffic through one of its VPN servers and then to the world of the wild internet. This way hackers can’t get a sniff at you. A VPN service also protects you against your ISP. With a VPN service, you don’t have to worry about your ISP collecting your data and then selling it to marketing agencies. Best of all, you don’t need to have any technical know-how to operate a VPN service. Everything has become very simple as far as modern VPN services are concerned. For now, just know that a VPN service will change your IP address to the one of your choice. In our case, we want the internet and the iTV specifically to think that we’re from the UK. So, we’ll use a VPN service to do so. Now there are a ton of VPN services available in the market today. All of them claim that they can provide you with the best possible experience and unlock all forms of content for you. But only a few stay true to their words. Some of the VPN services actually track you and monitor you and hence defeat the purpose of using a VPN service in the first place. You need to be very careful while signing up for a VPN service because there are a lot of unscrupulous VPN companies out there. Fortunately for you, we have done the hard work for you and have reviewed almost all VPN services under the sun. And hence, we recommend that you use IPVanish to watch French Open 2017. You can sign up for IPVanish by visiting its official website and signing up for a package of your choice. Click here to do that right here and right now. First, sign up for a VPN service. As we have told you before, stay away from free VPN services like Hola. Hola isn’t even a VPN service. It is a security threat and doesn’t work with iTV in any case. Now you will need to create an account. So create one. After subscribing to IPVanish or another great VPN service, you will need to download its VPN client. Don’t worry though, you can find the downloadable VPN client file from the official website. Just look around for a bit till you find it. Then install the VPN app on your preferred device using the downloaded VPN client file. Again, you can find all the things you need to operate a VPN service from the official website. Then connect to a VPN service that is in the UK since we want to access ITV. Now you will appear to be from the UK to everyone on the internet. Now you can use your new IP address to unlock iTV outside the UK. Not only that but you can also unlock all other UK channels which are not available in other countries. We’re talking about channels such as BBC iPlayer, ITV Player along with Channel 4, Channel 5 and ITV player. Again, we recommend that you use IPVanish to watch French Open 2017 via iTV free account outside the UK. IPVanish is our highest rated VPN service and is considered to be the best VPN service in the world at the moment. It is fast, secure and reliable. IPVanish does not keep logs and provides all users with military-grade encryption technologies. What’s more, it has reasonably priced packages and works with all streaming websites except for Netflix. Since you only need to unlock iTV, IPVanish is perfect for this job. IPVanish also has a money-back guarantee so you have nothing to lose since you can get your money back if you don’t like the service. Of course, you can use other VPN services to watch French Open 2017 as well but they won’t work as well as IPVanish in our opinion. French Open isn’t just a single event. It is a collection of tennis events. By that, we mean that there is a ton of variety of tennis when it comes to the French Open. 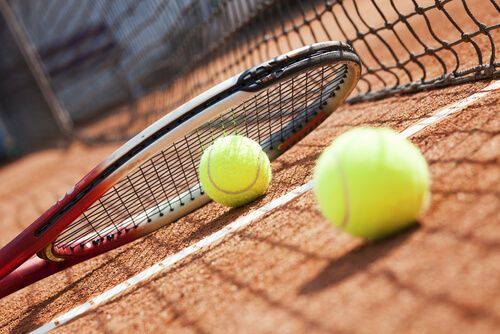 After some of the most elite tennis players have battled it out for the ultimate position to be in the final of the French Open, they have to go one extra round (the final itself) to have a chance to lift the prestigious French Open trophy. Who Will Win The French Open 2017? Will this be the year for Nadal? Maybe not, because Federer is hot at the moment. Of course, this is a difficult question to answer. Our research says that Nadal is poised to win the French Open 2017. Because he has been through a lot. He was beaten up by the likes of Djokovic and Federer along with Murray and Fognini for a good part of 2016 and almost all of 2015. Now he is out for revenge. And since Federer isn’t as young as he used to be, Nadal clearly has the advantage over Djokovic who is, for the first time in his career, without his trust coaching staff. Other than Nadal, there are many other contenders and each has a very realistic chance of winning the French Open. Besides, no one knows when Nadal’s knees will give out which always force him to retire from any given tournament midway. That’s some tough field of tennis players right there. In the end, regardless of who will win, French Open 2017 is expected to be a great tournament. The courts are slower here and hence the matches are longer. All of this means that the audience gets to watch more action for the same price of one ticket. 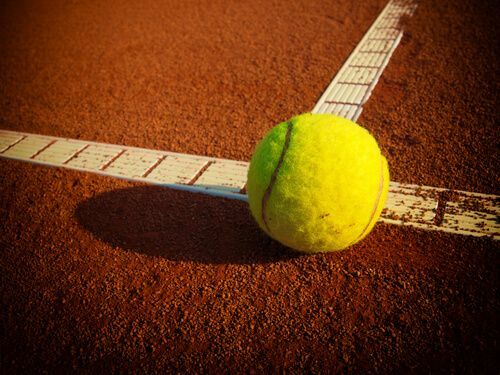 With Kodi, you can watch the French Open for free. The best part about using Kodi is that it has a ton of free content. We’ll be honest here, some of that content is not legal. In other words, sometimes you’ll find copyrighted content on Kodi that is not properly licensed. Kodi is just a platform. The people behind Kodi have developed these Kodi add-ons with which you can watch more types of content. Maybe you like to watch sports or maybe you just want to see some movies. Well for each of those, there is a separate official Kodi add-on. The variety of content is very low if you watch Kodi via its official add-ons. Moreover, the vast majority of the content that is available via official Kodi add-ons is of low to medium quality. So what do people do when they want to watch some high-end stuff? They develop ways in which they can watch the biggest blockbusters and the most famous TV shows. These type of shows require their own add-ons. And naturally, Kodi doesn’t support them. But that’s not going to stop third-party developers from making more unofficial Kodi add-ons and hence adding more content right into the Kodi universe. What we mean to say is that, Kodi can be illegal or legal. But it depends entirely on how you use it. With that said, you’re probably better off using unofficial Kodi add-ons if you want to watch the French Open 2017 via streaming. Here are the steps you should follow if you want to watch French Open 2017 with Kodi. First download Kodi from its official website here. DO take note that you must download the version of the Kodi file that is compatible with your preferred device. For example, if you use Windows as your primary operating system then you should download Kodi for Windows. If you want to use a Mac for streaming content from Kodi and choose the file that supports the Mac OS X operating system. On the other hand, if you want to know how to run Kodi from a USB for both Windows and Mac then go here. After downloading the file, install if on your preferred device. On a side note, remember that Kodi is just the new name for the old XBMC player. So don’t waste your time researching what’s the difference between the two. Kodi is just a newer name for the newer version of XBMC. The process of installation should not take yo more than ten minutes. And if you happen to have a modern computer machine then you should be done with the Kodi installation process is less than five minutes. There is also a feature which allows the user to watch full match replays so get to it. Needless to say, you will not see any streams before the actual event starts. So if you install Kodi on your device now and set up the appropriate add-ons, you will not see any French Open 2017 matches and/or streams. However, once the tournament starts, you’ll be able to access all of its matches and replays. There is another way to watch French Open 2017 using Kodi. This method applies to the latest version of Kodi. We’ll start off by assuming that you have the latest version of Kodi installed on your device. You will need to install the SuperTennis Kodi add-on and you must do so only from the Kodi add-on manager. The Kodi add-on manager can be accessed from within Kodi. The SuperTennis add-on for Kodi doesn’t show actual tournament matches. So if you want to use Kodi to watch French Open 2017 matches then you’re better off with our first method. This Super Tennis Kodi add-on only works if you want the latest news about tennis or want to consume live reporting from different tournaments. Apart from that, the Super Tennis Kodi add-on can show users educational programs along with technical disclosures and historical re-enactments related to tennis. This Kodi add-on also broadcasts insights and almost everything else that you could associate with the world of tennis. As we told you before, using Kodi can be legal or illegal depending on how you, the user, use it. Different countries and regions have different laws. You don’t know which law applies to you in which region. And hence, to protect yourself you need a VPN service. With a VPN service, no one will be able to monitor and track you. Hence, your identity will be protected and your privacy will be secured. A VPN service will also encrypt your data and protect it against hackers. To watch French Open 2017 with Kodi, we recommend you use IPVanish. Because IPVanish is fast, reliable and secure. It has several different packages for different users and is very economical. Moreover, it does not keep logs on its users and works with all Kodi add-ons. Besides, if you don’t like the service then IPVanish also has a money-back guarantee. So basically, you take no risk when you sign up for a VPN service like IPVanish. You can sign up for IPVanish by visiting its official website. To do that right now click here. As mentioned before, the French Open 2017 will provide a perfect opportunity to tennis players like Nadal, Federer, Djokovic and Murray to stamp their authority on the world of tennis and gain significant momentum going into Wimbledon and beyond. One can only hope that the French Open remains as competitive as ever. In this guide, you have learned how to watch the French Open 2017 via VPN and through Kodi. It all depends on your tastes and needs. With a VPN service, you can watch the French Open 2017 for free by changing your location. As mentioned before, the VPN service we think is the best for this kind of job is IPVanish. You can use the comments section below to let us know if you face any troubles following this guide and setting up your device to watch French Open 2017 for free. And don’t be shy to let us know who you think will win the French Open 2017. Just don’t say Federer, if you catch our drift. This is just a tutorial and is meant for educational purposes only. It is your responsibility to follow the law of your country and/or region. Security Gladiators does not condone nor support piracy or unofficial Kodi add-ons. Before streaming anything online, consider the law of your land. And give due respect to all copyright holders.